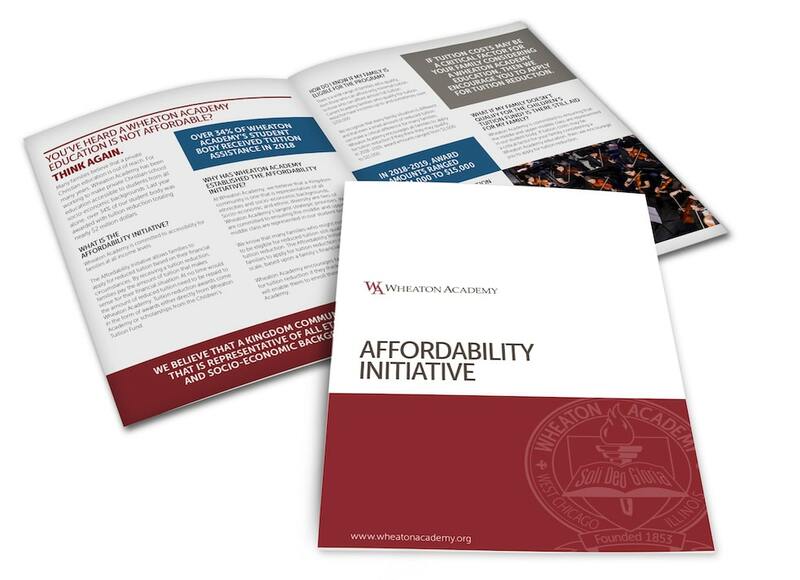 You’ve heard a Wheaton Academy education is not affordable? Think again. Wheaton Academy is committed to accessibility for families at all income levels. The Affordability Initiative allows families to apply for reduced tuition based on their financial circumstances. By receiving a tuition reduction, families pay the amount of tuition that makes sense for their financial situation. How do I know if my family is eligible for the program? What if my family doesn’t qualify for the Children’s Tuition Fund? Is there still aid? What is the Children’s Tuition Fund and does my family qualify? How does my family apply for a tuition reduction? If my family pays a reduced tuition this year, will we pay the same amount in future years? Are students who are offered admission offered tuition reduction if their parents qualify? How do families consisting of multiple households file for tuition reduction? Please note over 80% of our financial aid is awarded by March 15 each year so we encourage families needing financial aid to submit their applications as soon as possible.